“It’s not you, it’s me.” Breaking up with someone isn’t easy. It takes some planning and it takes an intentional decision to end the relationship. At the end of the day, you might leave your partner heartbroken or even revengeful. Same could be said about your relationship with your former domicile state. Their revenge could take the form of an unassuming tax bill. 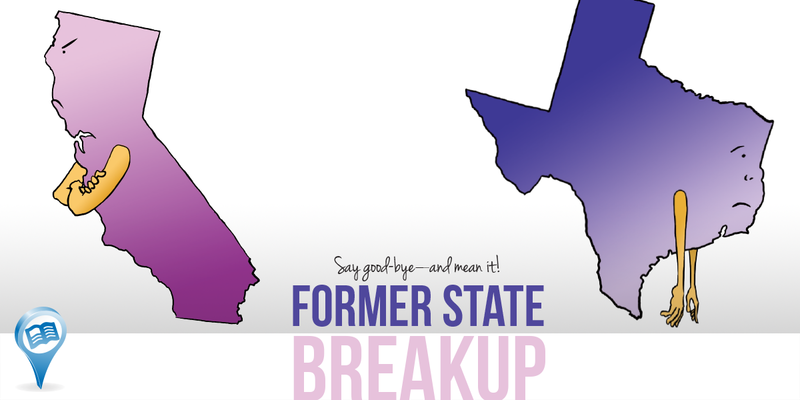 Once you are ready to move on from your current domicile state, breaking up is a critical step. 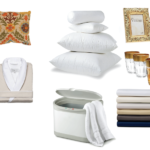 If you have plans of changing your domicile, do it right and give your current state closure. Break up with it. Domicile is monogamous. You can only have one domicile at a time. If you haven’t sufficiently broken up with your former state, the determination of domicile will revert back to that former state. Take note that not only is your intention important, but the timing of your intention is key. You can’t have one foot out the door and think you’ve established a new domicile. Both feet better cross that threshold, and the door closed shut behind you. If you have any connection remaining in your old state when you declare your intent to establish domicile elsewhere, that connection may defeat your case. Along with taking actions to show your intent to establish domicile in your new state, ensure you take action to sever your ties with your current state. If you fail to do so, by virtue of default, your old state may be found as your domicile. In order to abandon your current domicile, you must have the intent not to return to it, and you must have actual physical presence in the new state with the concurrent intent of making the new state your domicile. There are cases out there where simply having been in a state is not sufficient to establish a new domicile. As an example, if you choose Texas as your new domicile, your one-week visit to register your vehicle and get your driver license may not be sufficient. Your intent to make Texas your domicile must be concurrent with your visit. So, before you head to Texas, ensure that all of your affairs have been taken care of and that all of your connections have been severed with your old state. Leave your old state with the intention of not coming back. Once you’re in Texas, declare it as your domicile. Sever your ties with your old state. Make sure your important documents are completely updated with your new address, and make sure you aren’t hanging on to certain accounts or certain registrations. Your paper trail should consist of nothing but connections to your new state from the date you declare your domicile. A court may treat an account that hasn’t been updated as sufficient evidence of your continued relationship with your old state. Remember, you must have the intent to abandon your former state and the intent to make your new state your permanent home. The notion of “concurrent intent” can be found in some current case law. “Concurrent intent” means that your intention to make another state your domicile must be present along with your actual physical presence in that state. In other words, have the intent to domicile in the new state while you are physically present in that state. If you represent yourself as a domiciliary of a state but you haven’t been there in years, you’re in trouble. For that matter, if your only visit to the state took place before you actually moved out of your old state, you need to plan a trip soon. We can’t choose a state and declare it our domicile without taking actions to show our intent. Being physically present in a state is a potent way of showing your intent. A court may find the lack of physical presence in your new state as a lack of intent to establish a new connection with that state. No matter how much you want to domicile in Hawaii, if you have never been there, no court will find Hawaii your domicile. Your physical presence in the state is necessary not only when you are planning to change domicile, but also once you have completely severed ties with your former state. The beauty of domicile is that you do have the freedom to choose. A fresh start with a new state is best achieved with a bit of planning. Remember, timing of your intent is as important as your intent to choose a new state. However, don’t forget to break up with your old state before you move on. Miri Kim Wakuta is a California-licensed attorney. She is of counsel to Loring & Associates. Through her time as a litigator, she gained extensive trial experience. Her experience ranges from immigration, bankruptcy, civil, estate planning and child dependency law. She discovered her fascination with domicile issues arguing jurisdiction and venue issues in court. Wouldn’t a list of a few specifics be helpful in establishing a paper trail? e.g.- Set up a bank account in the new state or register to vote. This is particularly important for full timers who don’t have a physical home- owned or rented- in a specific state. Definitely! On our domicile-specific page of the site, we include a step-by-step guide for each Texas, Florida, and South Dakota. https://www.escapees.com/education/domicile/ Just click on the state in which you’re interested, and you’ll see the steps pop up. While these are specific to each state, many can be applied to whichever state you choose for your domicile. This article is contradicting what you wrote in “Timing a Domicile”. Essentially, the impression one has after reading both is that domicile is entirely arbitrary, outside of extenuating circumstances, and that a judge can decide whatever they want about it. People are mainly interested in legally changing domicile for tax and other purposes, so a focussed account of how that works in terms of case law would be very helpful. What if you have a physical presence in multiple states? We spend, on average, 8 months/year in the RV in various states. My current ‘residence’ is a small rental apartment in San Francisco, which we maintain because it’s my current work state, for which my insurance, benefits, and pay/bonus structure are based. This is the case even though I transitioned to permanent ‘telecommuter’ status years ago. We also have a place on the NC coast, considered a secondary home, that we rent as a vacation rental in our absence. 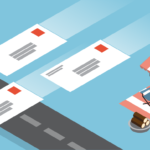 And since we are traveling the vast majority of the time, I’ve updated most mailing addresses for financial stuff to our mailing service, which is in Beaverton, OR. If I look at my credit report, I see the addresses from all 3 states listed as mine. The 2 or 3 months per year we aren’t traveling, we spend it equally in either SF or NC, although we have gone over a year without staying in either. When I retire and no longer what SF to be my primary, but don’t want to give it up either, what hurdles are there to transition to a domicile in yet another state? Yours is a fairly complicated situation. To avoid giving inaccurate advice here, we highly recommend you contact an attorney who specialized in domicile. We direct many of our members to contact K. Susie Adams, an attorney that works closely with our club and our members. Her contact information is in another comment above. We are wondering if you kept property in a trust in your original state if this would preclude a domicile change to another state…? For the most accurate answer to your question, we recommend you reach out to Loring and Assocciates directly. K. Susie Adams is their lead domicile attorney now, and can very likely help you with your situation. I’m actually about a yr away from full timing but thought for financial reasons I’d get the process started. I live with a friend in IN and also work part time on a 1099 basis in IN. I’m thinking due to the high recurring taxes on RV registrations which is coming due in a couple months I’d like to get this started. The other question is I’ve seen mention of court cases and such and wondered why by just someone moving to another state basically would prompt a judge or court to even look at a case like that? Though we can’t speak for every case that has come to court, in many situations, the closer examination is prompted by something else. For example, a former employer may file their taxes that indicate you should have paid income tax, but you didn’t. They dig deeper and find that you earned that income while living in their state, but now live elsewhere, and pursue measures to obtain that owed income tax. There are also situations related to real estate, property, etc where unresolved issues lead to further legal action, which is when this inconsistency of domicile state is found. So we currently are selling our house in Washington state and going full time RVing. We are going to travel all over the U.S. and don’t know yet what state we want to settle in when we are done. What are your recommendations since we won’t have a home address anymore? Hi Judy! Congrats on your full-time ambitions! Here’s my question. If I buy my rv in another state don’t I have to pay the tax and license and all in that state even tho’ I plan on making my domicile in Florida. It’s all confusing to me. Do I buy my rv in Florida to avoid having to do this twice?